There’s nothing better than knowing there is someone out there in the same situation as you with the same interests and questions. Connect to the portal and find others just like you. See all the upcoming events on one screen and add them to your Google or iCal Calendar in one click. You can also register # of attendees and share events with your friends. Show your support by spreading the word about all the great things happening. Click one of the share buttons to post the latest news to your Facebook, Twitter, or Google+ account. Did you know your portal owner is on Pinterest? or Twitter? Click the “Like” etc. buttons to see what they are up to on each social network. Now you can see all the networks your portal is on and see all their latest activity on one screen. Add your opinion or choose your preference to any one of the portals online polls. See what other community members have voted for and what the general consensus is. Do you run your own business? Your portal owner can support you as a valued member of their community. What a great place to advertise! You would be surprised how many people prefer to work with businesses associated with organisations they can trust. You could even offer a special discount to members of your community. Everybody loves photos. See the latest achievements and highlights from your community through the online photo gallery. See the latest fundraising goals your portal owner is aiming towards and donate online with just a few clicks. You can give money easily with the widely accepted and secure Paypal platform, or your portal may have online merchant facilities for you to donate directly with credit card. Often times you can get a tax rebate when donating. It’s frustrating when sites don’t support mobile devices these days. All EDUconnected themes are mobile friendly so you can catch up on the latest news and information while you’re out and about. Get the most important updates and latest notices sent directly to your email address. Often times, keeping up to date is not easy. Now you can get a summary of the latest news items or events sent directly to your email address so you can catch up when you are next available. Are you tired of trying to navigate complicated software? 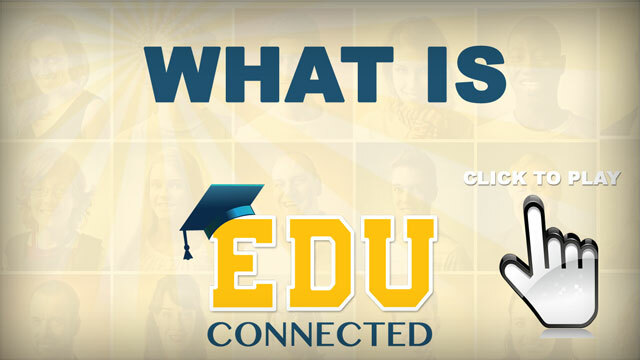 EDUconnected is most user friendly content management system you have ever used. Connect all your social platforms so your audience can follow you. Simply customise a new widget with your Twitter, Facebook, Google+, Instagram, or Pinterest url and you’re done. Already have content you don’t want to duplicate? Just setup a new RSS widget on EDUconnected and enter your main site rss feed url. No manual updating, no duplicating. It just works! Add online polls to your community dashboard so users can vote on particular topics, or provide feedback on their desired choices. Make your community feel important and involved. Single out your most loyal members to moderate groups and questions. Often times your current customers are your best sales representatives and can quickly answer questions or queries from new members. EDUconnected comes with a number of options for generating revenue easily and efficiently. You can accept online payments through your shopping cart, event ticket sales, business directory listings and more!. All you have to do is upload your products and specify your payment methods. Apps are becoming quite popular and are great for keeping your community up to date with instant notifications and information at their fingertips. EDUconnected has support for external API integration so your mobile app can receive all the latest updates and inform your users automatically. Crafting good email newsletters doesn’t have to be difficult. It’s much easier with a convenient drag ‘n drop interface which lets you select relevant posts and information from your portal. You can also specify an automated sequence of welcome emails that go to your new member signups! Make it easy for your community members to see what you’re working on, and donate to your cause with just a few clicks. You probably have a number of documents that you want to make available for download. EDUconnected makes it easy for you to have all your online documents in one place and see exactly who uploaded the latest version and when.